Emily is the office manager for the Jerich Insurance Agency. She brings to the agency a wealth of personal and business experience. A graduate of Vincetian High School and St. Francis Hospital School of Nursing. After becoming a registered nurse she worked in the operating room at St. Francis. She left that position to care for her ill child. In 1972 she opened her own ceramic shop and built it into a successful business. 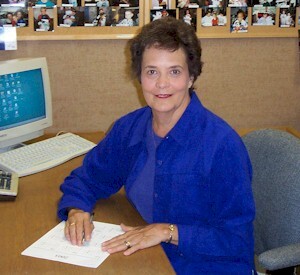 After her husband, Stan, purchased the insurance agency, she joined him in the agency as the accountant and office manager. Then her creative juices took over and in addition to working in the agency she opened another business: Emilys Embroidery Specialties. Again the business grew into a success. Because of Stans involvement with the community she joined him as a volunteer with the West Leechburg Volunteer Fire Company and the Seven Springs Volunteer Fire Department. She serves as captain of the fire police at Seven Springs Volunteer Fire Department. Emily and Stan are very proud of their involvement with the Make-A-Wish foundation since 1990. They have hosted many fundraising events, volunteered to be on the speakers program, served as County Team Leaders and have recently reached their most important milestone of helping their 200th wish child have their wish come true. Because of their efforts they won the Deeds Worth Duplicating award from WTAE radio in 1997 and were nominated for the Outstanding Citizen Award by the Post Gazette and WTAE TV in 1992.